3 Bedroom Terraced House For Sale in Airdrie for Fixed Price £105,000. The property on offer comprises a unique extended mid terrace villa located towards the outskirts of Airdrie. The upgraded accommodation extends to hallway lounge, dining kitchen, extended sitting room, three double bedrooms (one in the attic) and family bathroom and downstairs cloaks/wc. 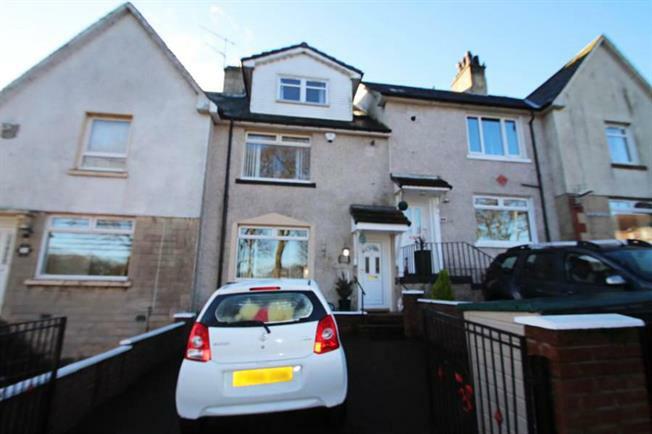 The property features gas central heating, double glazing and has a driveway to the front of the property. In addition there are enclosed rear gardens. Airdrie has a good selection of shops and schools and the property is ideally placed giving quick and easy access to all the major motorway networks for commuting throughout the central belt. The property is located a short walk from Drumgelloch Train Station for commuting to both Glasgow and Edinburgh City Centres.